Steve Le Marquand in Broke. The 14th annual Gold Coast Film Festival will screen Australian features Spear, Broke, A Month of Sundays, Girl Asleep, Crushed, Observance and The Hunters Club, and play host to guests including Reg Cribb, David Stratton, Claudia Karvan and Gracie Otto. Director Stephen Page will also make his debut at the fest. Page and his leading man (and son) Hunter Page-Lochard, star of the upcoming ABC-TV series Cleverman, will attend a screening of Spear, followed by a Q&A session. The team behind Broke – director Heath Davis, producer Luke Graham and actors Steve Le Marquand and Max Cullen – will attend the film's Queensland premiere. The film follows the story of disgraced rugby league star and gambling addict, Ben “BK” Kelly, who attempts to turn his life around with the support of his two biggest fans. Writer Reg Cribb (Last Cab to Darwin) will attend a 10-year anniversary screening of the Le Marquand-starring Last Train to Freo, followed by a Q&A. Claudia Karvan, recipient of the 2016 Chauvel Award, will appear in conversation with David Stratton. New to the fest is YScreen, a program of films and workshops for children and teens. School-excursion screenings to be held alongside film criticism workshops, conducted by critics from the Australian Film Critics Association. 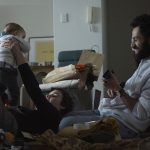 In a first for Australian film festivals, the Gold Coast fest will also introduce free on-site childcare for the Gender Matters and Producing industry panels on April 10. The on-site childcare is offered "in a bid to help remove barriers for women within the industry wanting to attend professional development opportunities", the festival said. The annual Women In Film Luncheon presented by Screen Queensland will return with Gracie Otto as guest. Otto’s feature documentary The Last Impressario premiered at the London Film Festival in 2013, and she has recently set up an all-female production company, The Dollhouse Collective, with Rose Byrne, Shannon Murphy, Krew Boylan and Jess Carrera. Rosemary Myers' Girl Asleep will make its QLD premiere, as will Australian thriller Observance, which recently premiered at the Fantasia and London film festivals. The fest will also host the Australian premiere of The Hunters Club, shot on the Gold Coast by director Kit McDee. Madman's soon-to-be-released A Month of Sundays, starring Anthony LaPaglia, will screen as the festival’s closing night film.